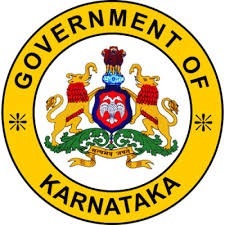 Devanahalli, located at a distance of 36 km from Bangalore, is the headquarters of the Taluk and is mentioned in several documents as Devanapur, Devadanahalli, etc. In 1501, it was said that the fort built with the permission of Avatia Mallbhair Gowda was a devastating ‘Deva’ at Devadodi and changed the place to Devanahalli. In 1747 the Mysore dynasty captured the area. The Marathas captured it several times from Mysore. The ruins of this fort were previously seen inside the fort. There is currently an acre bed for Fort Haydar and Tipu Sultan with large and tall walls with twigs in the right places. Tippu Sultan also changed the name of Yusufabad (the residence of Yusuf, the best person), but it was never popular. Since the birthplace of Devanahalli, Kirmani says that tipu’s hunt for this place has been frequently taken over. Doddaballapur Taluk has 29 GPs. The main activity of this Taluk is identified with Power and Silks. Veena, Pottery articles, Agarbathi are manufactured. Small scale industries and large scale industries are very large in scale. Hoskote Taluk has 28 GPs.According to the subsidiary of copper plate in 1494, the location given to the heroic language was founded by Sugathur’s chief Teregouda. The place is also famous for a two-mile long haul with a large tank and a complete sheet of water less than 12 km. The Ganga built this tank, raising the armed forces and acquiring areas such as Anekal, Mulabagilu and Punganur (AP). His successors were 1638 A.D. Ruled up (see Chapter II). Shortly thereafter, the area was occupied by the Bijapur Army and subsequently declared Zahir on Shahji, who lived in Bemas. Nelamangala Taluk has 24 GPs. Small scale and large scale industries are industries are constructed in larger scale. Here Rudra Deva, Basaveshwara, Anjaneya (two), Lakshmi chennakeshava (small), Ganesha, Kashi vishweshwara, Veeranjaneya, Mahalingeshwara, Basavanna etc are available in this taluk.